I am a man without envy | no roof and no walls to defend me, | in hope that someday you’ll befriend me, | and take all my troubles away. | Walk with me, talk with me, tell me about all the good things you’ve done; | stay with me, pray with me, | leave all your blues in your shoes at the door. We are called, we are chosen. We are Christ for one another. | We are promised to tomorrow, while we are for him today. | We are sign, we are wonder. We are sower, we are seed. | We are harvest, we are hungry. [sic] We are question, we are creed. Turning to another random page, what do I find? This is a day of new beginnings, | Time to remember, and move on, | Time to believe what love is bringing, | Laying to rest the pain that’s gone. If life is like a wedding feast | and we are cast as guests, | then it is tragic not to know | the life God manifests. | Distracted by appearances, | seduced by praise or place, | if we remain outside ourselves | we miss this moment’s grace. If life is like a wedding feast | and we are cast as hosts | then it is limiting to list | the ones we like the most | and leave apart, outside, unknown | uncounted other souls, | when love suggests there is no feast | till all the parts are whole. 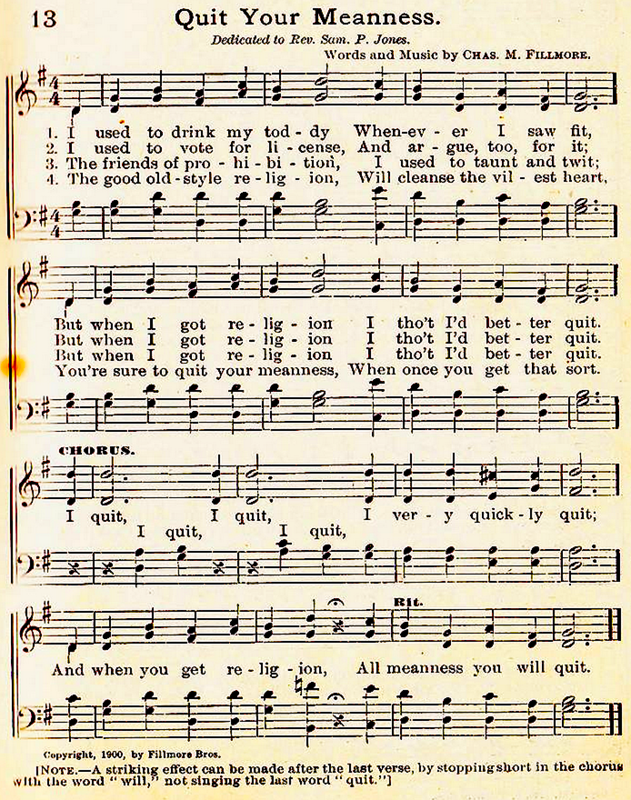 I don’t like hearing Catholics denounce B16, and I’ve posted a song (upper right) called Quit Your Meanness. Hopefully Mr. Cooney, having sung that hymn, will delete what he wrote about B16’s beautiful liturgical example. * You might ask, “As a musical composer, what are Rory’s theological and poetic qualifications for writing Catholic liturgical texts?” However, many “contemporary” composers (even the non-Catholic ones) routinely compose their own lyrics and translate Sacred Scripture, even though they’re unqualified for such tasks.